Mol, A., Oosterveer, P. 2015. Tracing sustainability in global food chains. 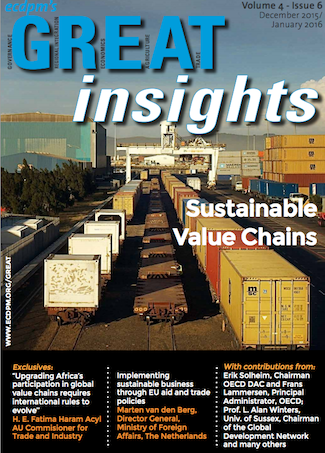 GREAT Insights Magazine, Volume 4, Issue 6. December 2015/January 2016. This article briefly discusses the different systems for tracing sustainability in global food chains and pays particular attention to the marketisation of sustainability through certificates. Sustainability is an important goal for (agro-)food supply chains but safeguarding the sustainability of food in the context of globalisation becomes increasingly complicated. Different strategies to promote sustainability of food have been developed, in which systems for tracing sustainability in food supply chains stand out. Such systems, articulated in sustainability standards and certification schemes, allow producers and consumers to trace sustainability claims along every step in the supply chain. Sustainability of food often cannot simply be observed from food products when consumers buy them. So sustainability claims on consumer food can only be made on the basis of reliable information about upstream food production processes. A traceability standard therefore requires transparency of the chain, traceability of the food product and verification of the sustainability claims throughout the chain (Mol & Oosterveer, 2015). Different sustainability instruments have been developed and are applied within distinct global food supply chains. These instruments operate in different ways in the global food market. An interesting new development is that sustainability itself becomes a commodity in a separate market through the buying and selling of sustainability certificates. Informational governance (Mol, 2006), that is regulation through information, involves activities such as collection, monitoring, disclosing, disseminating, framing and verification of information. These informational activities can help to transform food production and consumption towards sustainability. 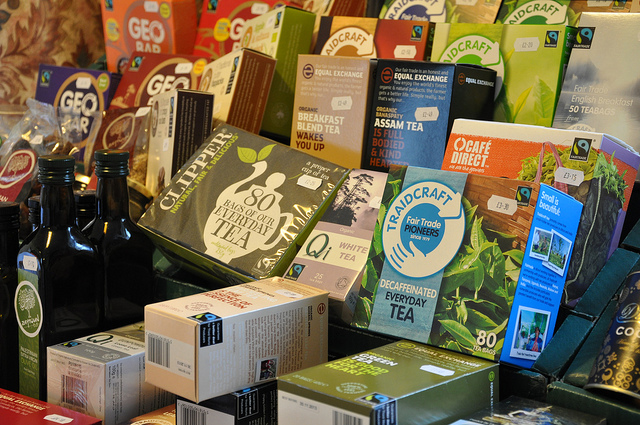 Information about the origin of the product, eco-labels such as organic or Fairtrade, corporate social responsibility reporting, etc., allows producers, consumers, NGOs and governments to profile and advance sustainability of food products. 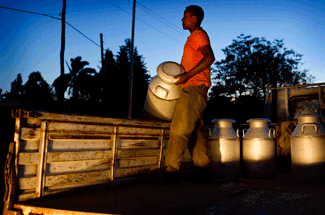 But in order to do so, sustainability claims need to be traceable along the food supply chain. Identity preservation (also known as tracking and tracing) ensures that the certified product delivered to the consumer is uniquely identifiable and can be directly related to the producer. This requires full traceability, which implies high costs along the value chain. These high costs need to be compensated through price premiums. Segregation is the physical separation of certified and non-certified products throughout the supply chain, without the possibility to relate a product back to its individual producer. The mass balance system monitors certified sustainable produce administratively throughout the entire chain to ensure that the volume of certified products downstream equals the volume of certified resource base upstream. 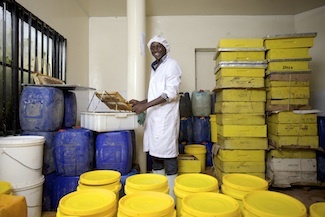 The mass balance system allows for the mixing of certified and non-certified produce at any stage of the value chain after the certified produce has left the farm gate. The book and claim model takes away the physical link between the certified primary product and the certified final product. The certified produce upstream is booked in a central registry and the operator receives a tradable certificate. The producer then sells his certificates on the market to interested buyers through a trading platform. For each unit of certified sustainable product that is sold to customers/consumers, final sellers need to buy certificates from this platform. The price of a certificate depends on supply and demand for the certificates and may therefore vary widely. The major advantage of this system is that no segregation or monitoring of the product is needed, thereby significantly reducing costs and complexities. 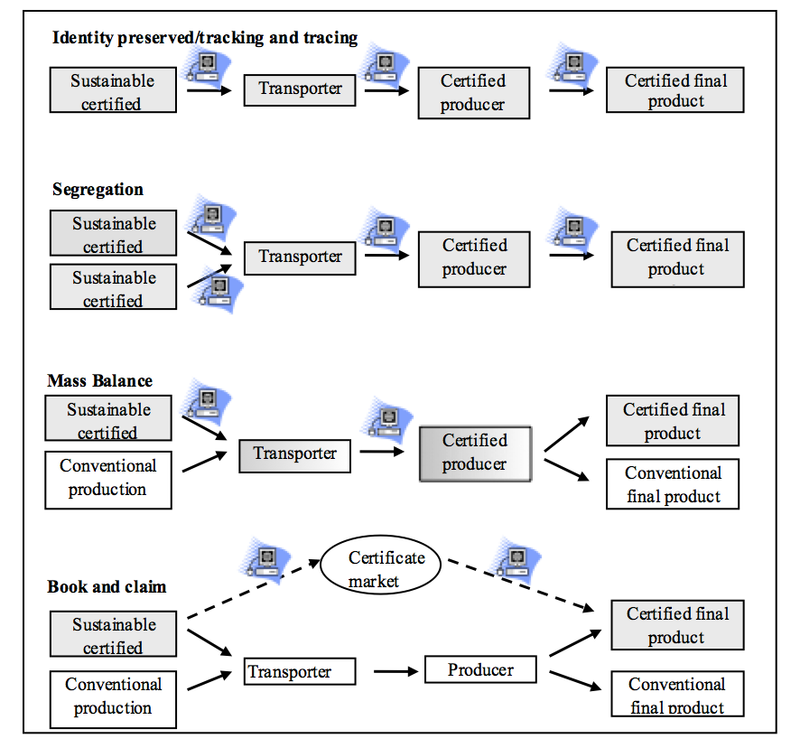 Figure 1 illustrates these different sustainability tracing systems. Which traceability system is selected and why? These four different systems exist next to each other and there is no clear trend visible towards a convergence into a particular model. How then to understand why and when a particular traceability system is selected? We identified five factors that influence the selection of a traceability system. The first factor relates to the identifiability of a product for consumers, because when final products are clearly identifiable for consumers (such as coffee, fish, vegetables), identity preserved or segregation is preferred above other systems. Second, the (perceived) existence of inherent product quality differences, such as organic, makes identity preserved or segregation more likely to prevail as a preferable traceability system. and the public, one can expect segregation and identity preservation to be preferred. Fourth, if institutional actors, which are only to a limited extent dependent on consumer legitimacy, dominate a value chain, one may expect book and claim systems to prevail. Finally, when supply chains extend their market geographically and in size and when the ‘social distance’ between producer and consumer increases, one may expect that book and claim and mass balance systems are preferred. The combination of these factors explains why organic food uses identity preservation or segregation in the market and sustainable palm oil relies on book and claim. Book and claim systems offer sustainability certificates on the market and this means that information about sustainability becomes of value. These systems provide a monetary value to sustainability and allow it to be traded independently from the material products themselves. These book and claim systems are relatively new in the (agro-)food market and therefore need our attention. Book and claim systems combine ecological and economic rationality in designing green global supply networks: they incentivise certified production, reduce transaction costs and thereby make certified products competitive with non-certified alternatives. In organising these book and claim systems and their certificates in practice, however, five critical challenges are faced. 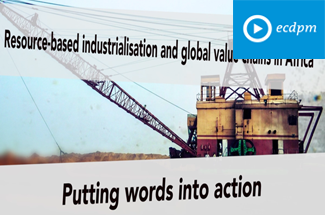 First, book and claim systems bring in a new set of actors in sustainable global value chain governance, such as private brokers and financial institutions, each with their own roles, interests and rationalities. 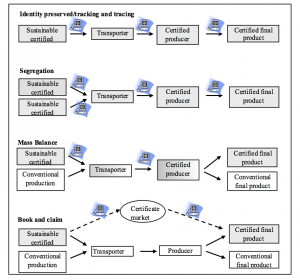 This means that traceability becomes a market in itself; sustainability certificates are traded and new companies emerge that make a profit from trading sustainability certificates or from setting up systems and companies that become traceability brokers. The relationship between these traded certificates and actual sustainability becomes indirect, while risks of price volatility increase. Second, book and claim systems seem also more vulnerable to fraud than identity preserved and segregation systems. Another challenge is the blurring of responsibilities when buying and selling sustainability certificates is detached from setting, monitoring and verifying actual production standards. Fourth, because book and claim systems often have to compete with alternative traceability systems in the same market or on the same product, their favourable cost-efficiency does not necessarily convince all consumers. When consumer preferences for greater transparency towards initial producers are articulated through large retailers, book and claim systems may not be the preferred option. Finally, book and claim systems may suffer from over-certification when larger volumes of sustainable primary commodities are produced than volumes certified in a market. The increasing demand for sustainably produced agro-food products in a globalising market has resulted in the creation of different systems to certify sustainability claims. Traceability is a key element in each of these initiatives, but it can be (and is) arranged in different ways. The application of a particular form of traceability, i.e. how the certification of a final product is related to the sustainability qualities of production circumstances and products at different stages of the value chain, does not simply depend on a historical development. In fact, the kind of traceability model that is selected depends on the combination of five different factors in the architecture of the supply network serving a specified commodity market. Deciding on the most appropriate traceability system is not a straightforward selection process on the basis of (economic and environmental) costs and benefits, but relates as much to fundamental consumer identities, ideologies and power relations in value chains. While technical-scientific claims can be straightforwardly rejected or accepted, debates on fundamental ideologies and power inequalities are never resolved easily. The debate on traceability systems is therefore likely to continue for some time (rather than closed on short notice) and we expect book and claim systems to remain part of that debate. 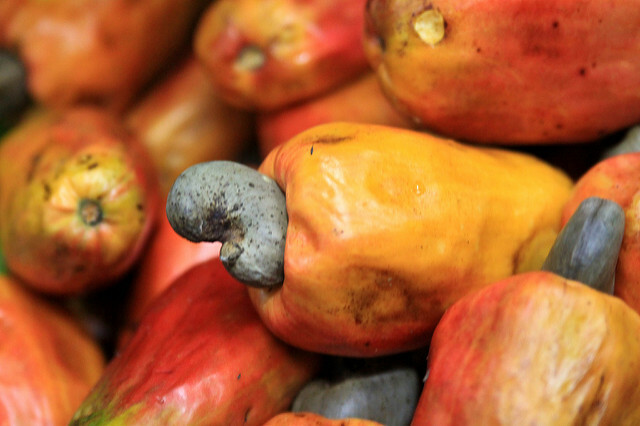 Book and claim systems are a relevant option for commodities that cannot easily be identified by individual consumers, such as palm oil or soy. Bush, S. R., Oosterveer, P., Bailey, M. and Mol, A.P.J., (2015). Sustainability governance of chains and networks: a review and future outlook. Journal of Cleaner Production, 107, 8-19. Mol, A.P.J., and Oosterveer, P., (2015). Certification of Markets, Markets of Certificates: Tracing Sustainability in Global Agro-Food Value Chains. Sustainability, 7, 12258. Mol, A.P.J. (2006). Environmental governance in the Information Age: the emergence of informational governance. Environment and Planning C: Government and Policy, 24, 497-514. Smyth, S., and P. W. B. Phillips (2002). Product Differentiation Alternatives: Identity Preservation, Segregation, and Traceability. AgBioForum, 5, 30-42. Prof. dr. Arthur P.J. 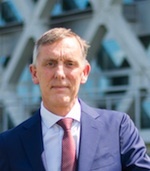 Mol is currently Rector Magnificus and Vice-Chairman of Wageningen University & Research centre, The Netherlands. 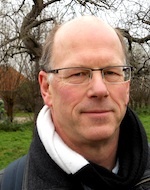 He was Professor and Chair of Environmental Policy at Wageningen University (e-mail: arthur.mol@wur.nl). Dr. Peter Oosterveer is Associate Professor at the Environmental Policy Group Department Wageningen University, The Netherlands (e-mail: peter.oosterveer@wur.nl). 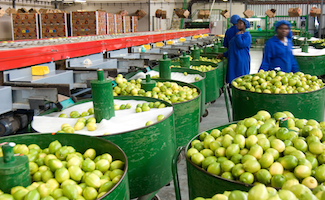 Photo: Fruit packing at the Bavaria fruit farm in Hoedspruit, South Africa, where the lemons, oranges and mangoes packaged are destined mostly for the export market. Credits: Chris Kirchhoff, MediaClubSouthAfrica.com.